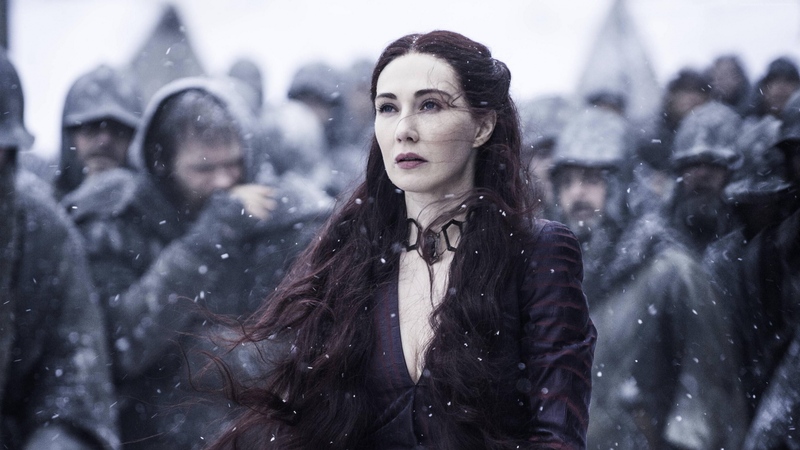 Melisandre. . HD Wallpaper and background images in the Game of Thrones club tagged: photo game of thrones season 5 melisandre carice van houten. This Game of Thrones wallpaper might contain باکس کوٹ, خانہ کوٹ, پہناوا, overclothes, آؤٹر, اوورکلوتھیس, overgarment, بیرونی چادر, and اوورگآرمانٹ.